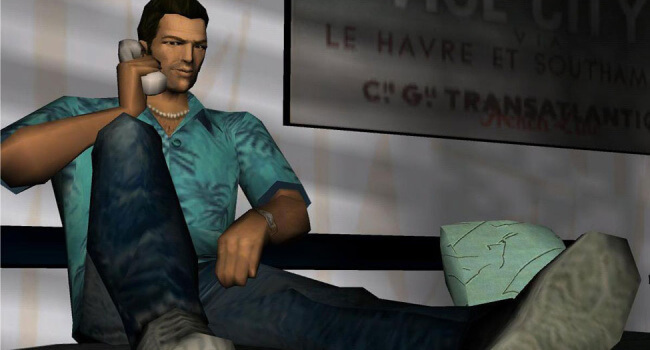 In the 2002 video game Grand Theft Auto: Vice City, Thomas “Tommy” Vercetti (voiced by Ray Liotta) is the protagonist and playable character. After being released from prison, Tommy agrees to take part in a deal for an old friend, in which he was ambushed. In an attempt to find the man who set up the ambush, Tommy rises through the ranks of the Vice City crime underworld. After murdering the man who set up the ambush, he becomes extremely powerful in the criminal world, and eventually becomes the kingpin of Vice City.